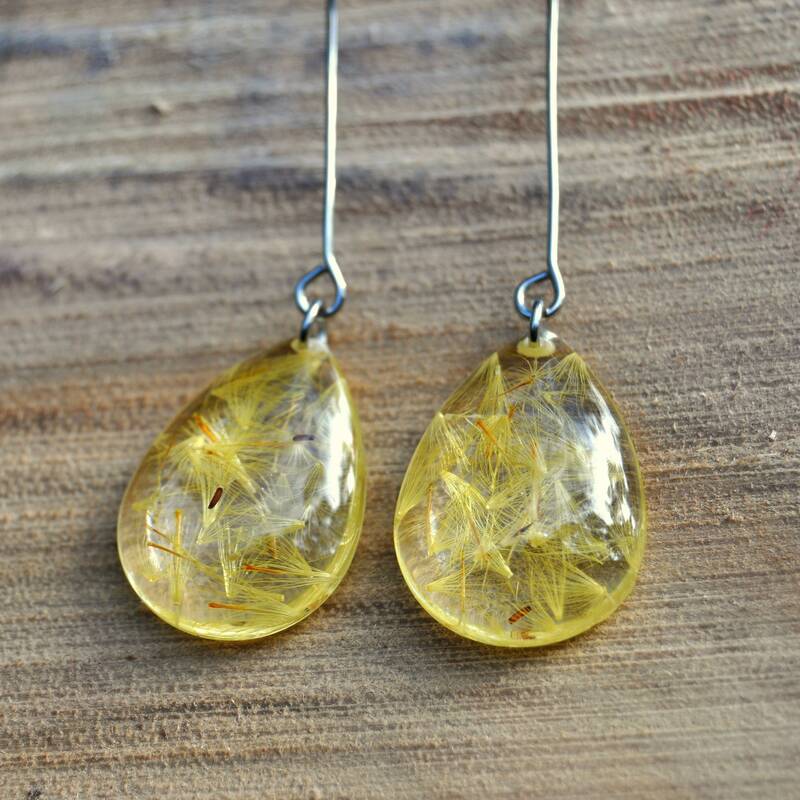 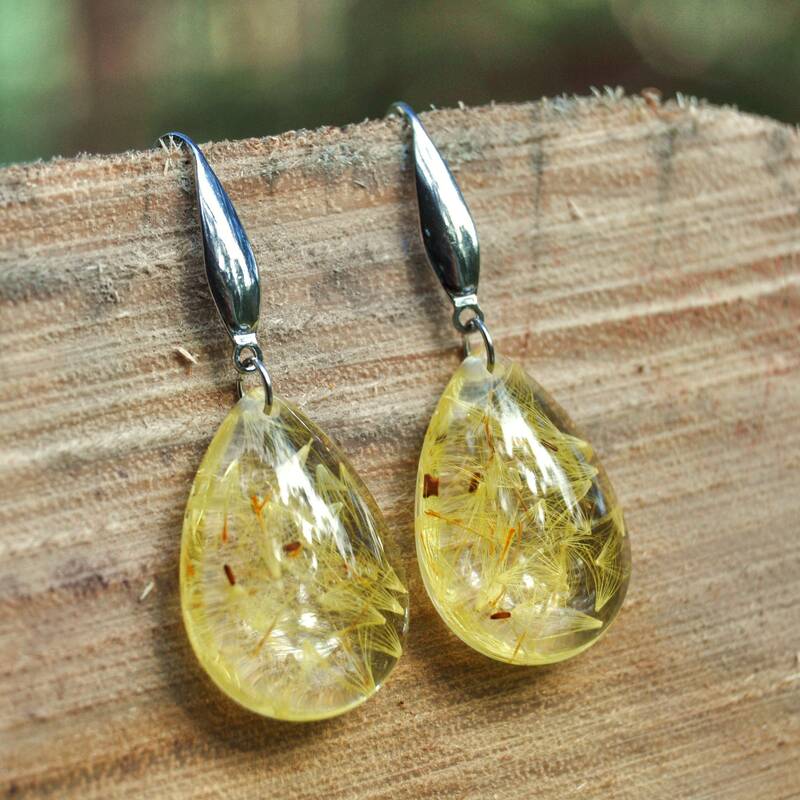 Wattle drop earrings made with clear eco resin and pressed Silver Wattle flowers. 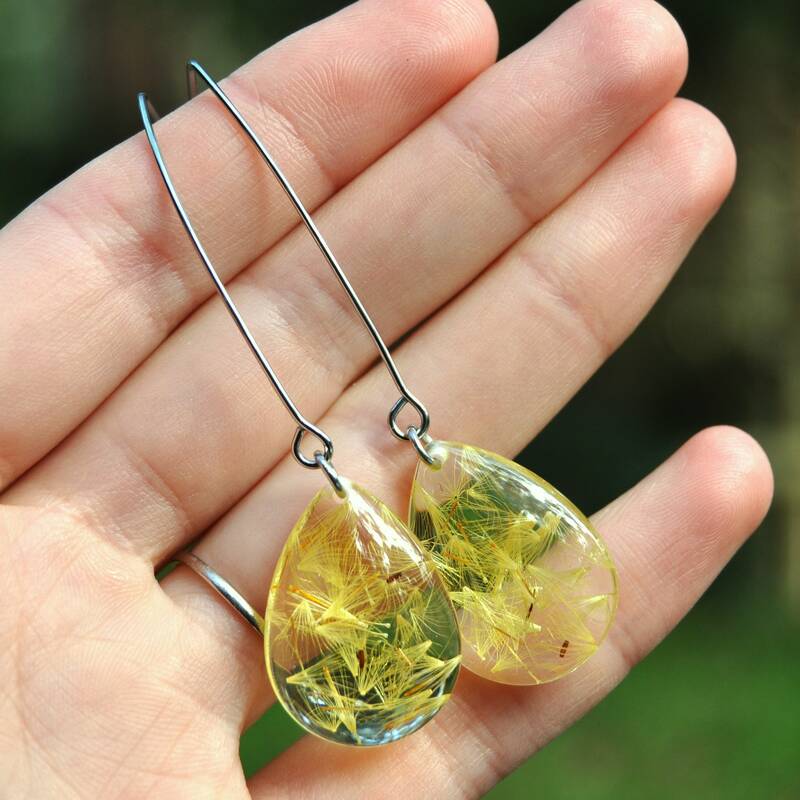 ♥ Plant: Sticky Everlasting seeds, a paper-daisy type flower found in south-eastern Australia. 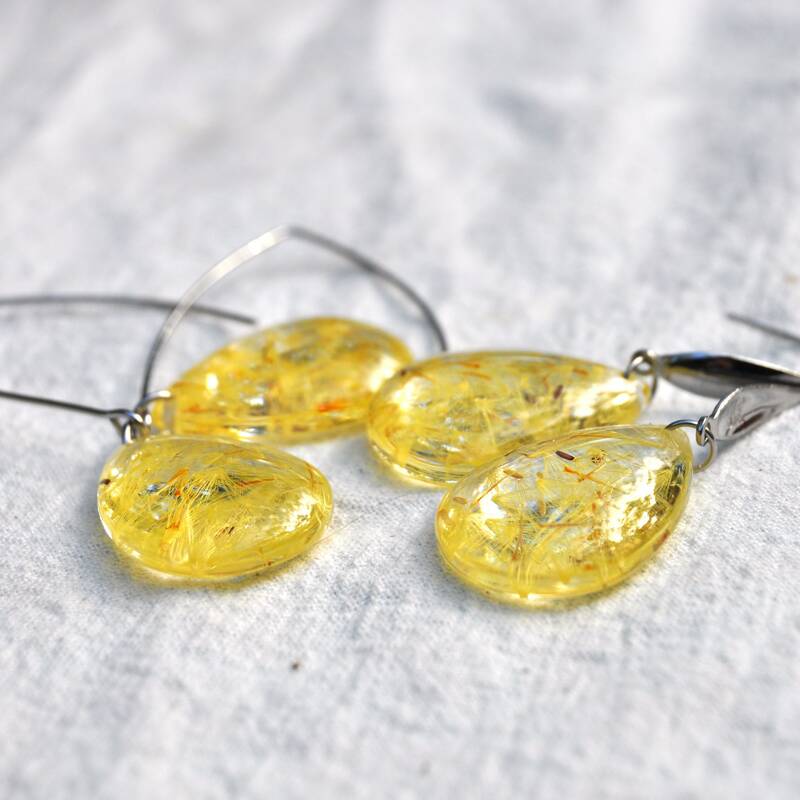 ♥ How it's made: the flower seeds were collected and dried, then carefully set between in clear eco resin. 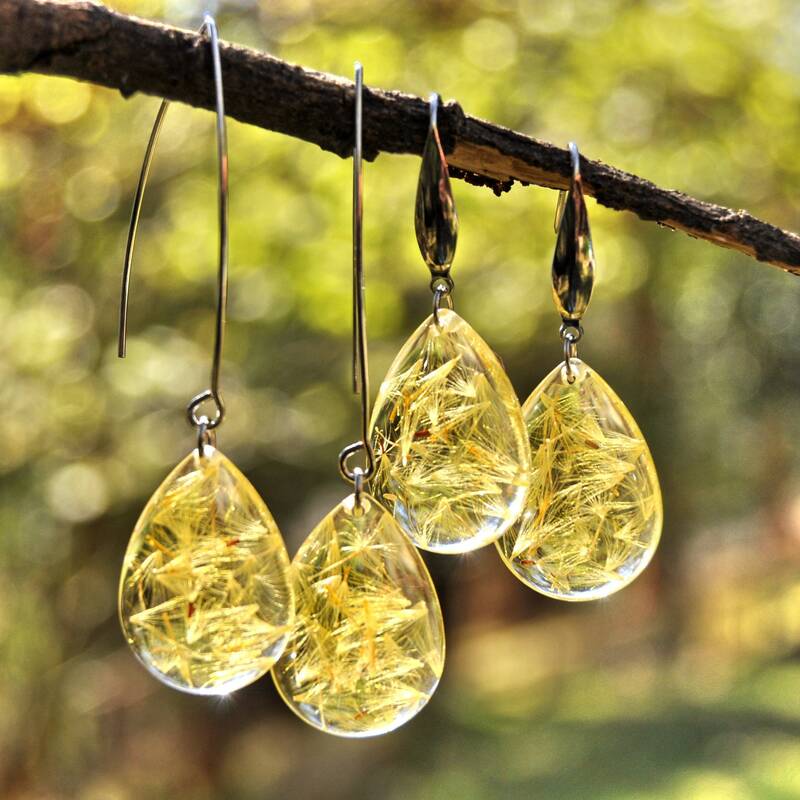 ♥ Size & Shape: These resin drop of the earrings measures about 18 mm wide and 25 mm long. 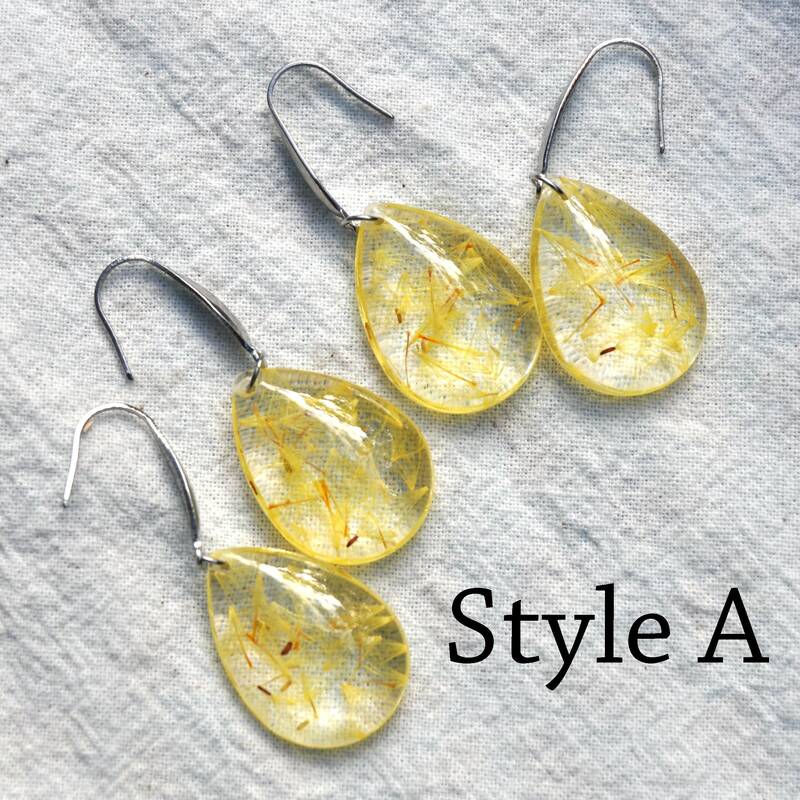 >> Style A: a shorter, more classic hook - Total dangle length is about 45 mm. 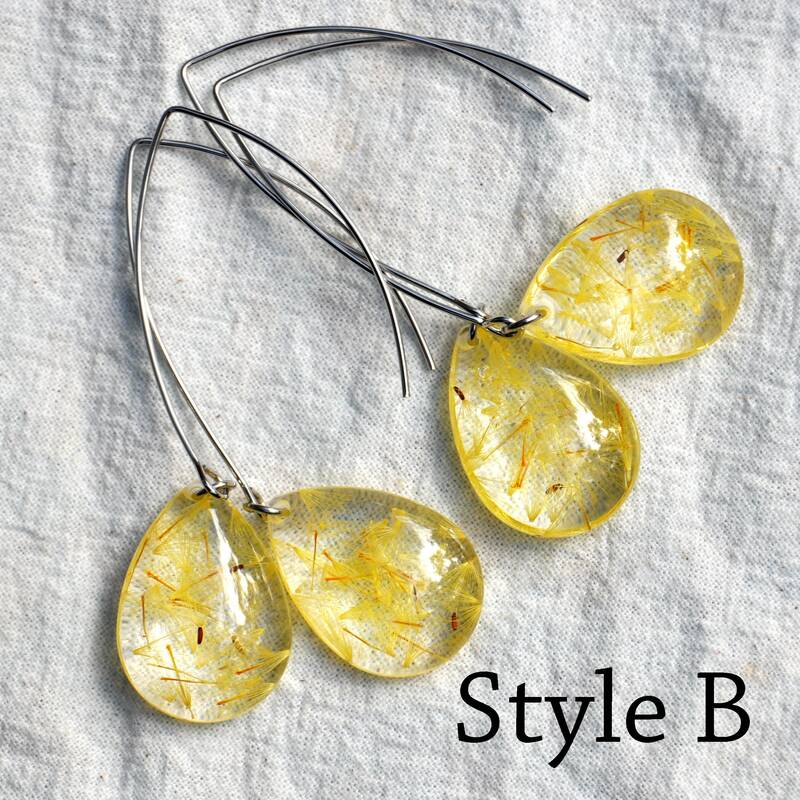 >> Style B: a longer marquise-shape hook - Total dangle length is about 66 mm. 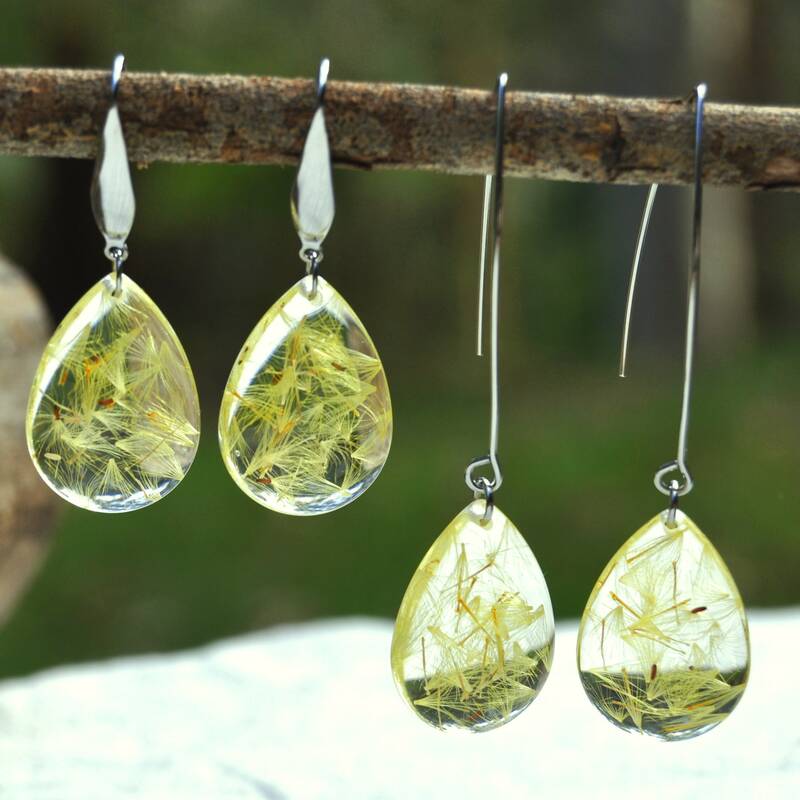 ♥ You will receive one random matched pair of earrings.